On Monday, March 18, Speaker of the House Nancy Pelosi toured the Fathers’ Support Center in St. Louis. 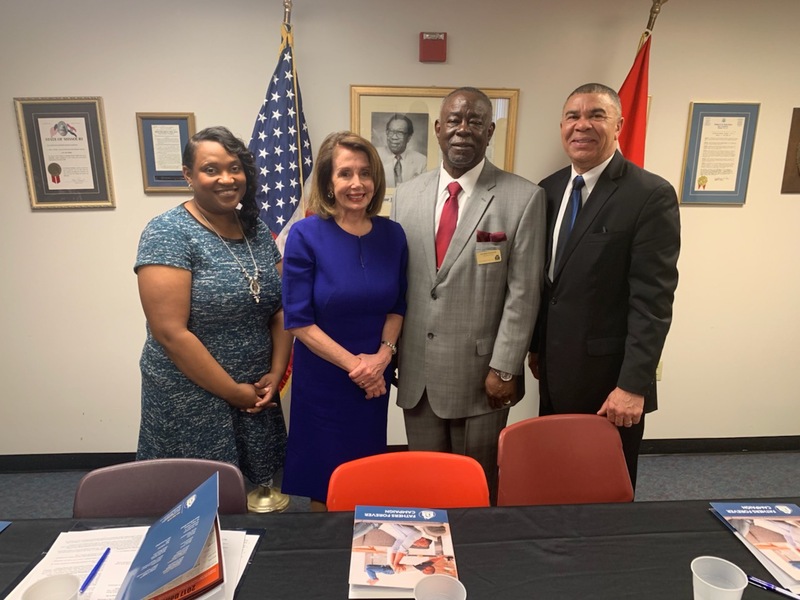 Pelosi was accompanied by Congressman William Lacy Clay, a longtime supporter of the Fathers’ Support Center (FSC). AMTC has worked alongside the FSC since 2006, providing performance measurement and evaluation services. AMTC is honored to work with an organization that does so much good for the fathers of St. Louis.